We live in an amazing era of automotive evolution. Carbon fibre, turbo chargers, dual clutch gearboxes and hybrid systems. The BMW i8 has it all yet seems to be overlooked amongst a sea of Ferraris, Lamborghinis and Porsches. It begs the question why does the i8 miss out on making the average teenager’s wish list? 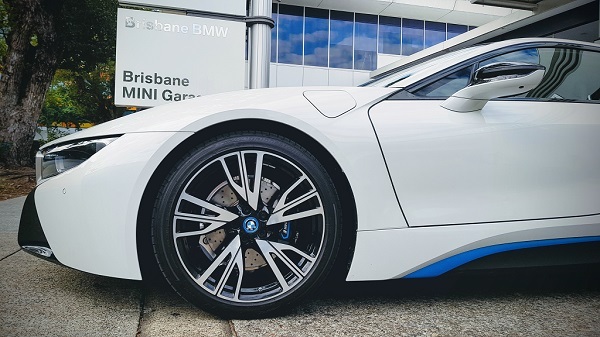 Thanks to the generosity of Brisbane BMW we got to take a close look and find out. By now the BMW i8 is well known – a 96kW / 250Nm electric motor up front with up to 37km range in pure electric mode, and a 170kW / 320Nm turbocharged 3 cylinder engine driving the rear, all packaged up in a gorgeous carbon fibre chassis weighing in at around 1,485kg. The exciting part is the facelift LCI models now include a brand new roadster along with a range of tweaks for the coupe and minor power increases. The electric motor now gets a minor boost to 105kW, and prices will be near $318,900 for the coupe and $348,900 for the roadster. On first impressions the design is truly stunning. Butterfly doors, exposed carbon fibre, and stitched leather everywhere. The instruments are on a stunning colour display, but I did find some critical info was a little small for my liking. Then comes the magic trick. Let the excitement settle and this becomes an unexpectedly practical car, ignoring for a second the storage space that holds at most a hand bag. The cabin is a snug fit but offers comfortable room for the front passengers (don’t ask about the back seats), the doors open in confined spaces, and visibility is excellent through the panoramic windscreen and very usable mirrors. How does the BMW i8 Drive ? Whatever your expectations this car will surprise you. This is the perfect embodiment of the BMW ethos – so much technology yet a simple and engaging driving experience. They have retained the typical gear selector, control stalks and steering wheel controls, common across BMW’s range. And there’s no need to think about how to control all that technology humming away, just hit the Stop/Start button, into drive, handbrake off, and… pure silence! Travelling in 100% electric mode is a novelty but quickly wears off. Leave it in Comfort (hybrid) mode and the computers take care of the world for you. Brakes, steering, throttle all feel so refined and effortless you could be in any top end BMW. This is mind bending. You never know what technology is making the car work – electric? Petrol? Regenerative braking? Mechanical brakes? But it all works perfectly together to simply do what you ask of it. Y ou get 100% petrol power with electric boost. Acceleration is silky smooth and relentless. Even at highway speeds there is forceful linear acceleration available. 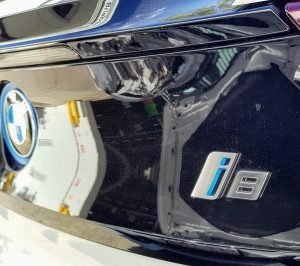 The i8 is so stable and controlled you feel like it can handle so much more power (please BMW give us a power boost in the next one!) The sound from the 1.5l 3 cylinder is intoxicating, and yes it pops and crackles happily. A minor gripe is you can tell there’s some extra engine noise artificially piped into the cabin. Let’s face it, this is a very enjoyable car to drive rapidly. So what’s not to love? Honestly this is not a track car, or to go posing down on a beach esplanade. This is truly a Grand Tourer. Take it out for a drive through the hinterland or along the coast and simply enjoy the drive. Maybe it slips under the radar because on paper it doesn’t set any records. 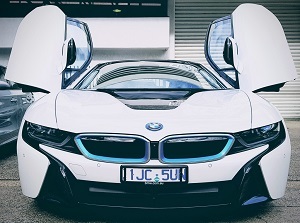 The BMW i8, as a complete package, is worthy of inclusion amongst cars like the new Honda NSX and the McLaren 570GT, so if you’re willing to look past the usual Supercar suspects and consider the i8 it will never fail to impress on every drive. This BMW i8 Review is by Dave Sakko. 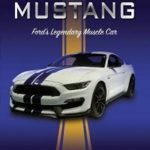 Dave is a Guest Writer for Aussie Motoring and is a passionate Aussie Motoring enthusiast.